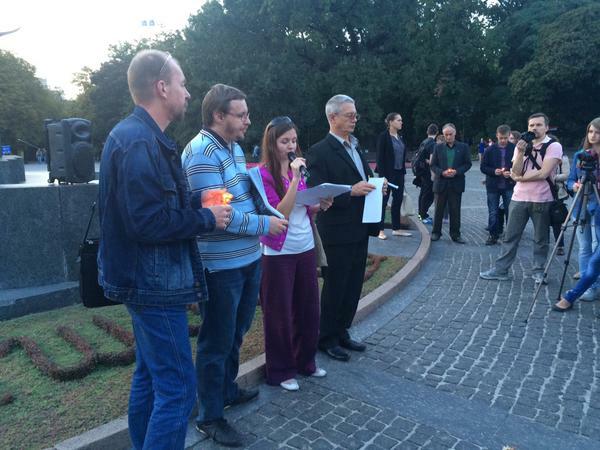 Yesterday, on the 16th of September, the action “Armed truth” was held near the monument of Shevchenko in Kharkiv. The action was timed to coincide with the 15th anniversary of the disappearance of Georgiy Gongadze and all the journalists fatalities. The event was organized by the Institute of Mass Information, together with the National Union of Journalists of Ukraine. 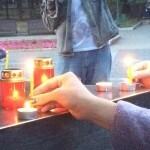 Participants held a rally and lit candles in memory of the killed journalists in Ukraine for the period of its independence. According to the radio “Svoboda”, 64 journalists were killed in this time-frames. The meeting ended with a moment of silence. Also, they held a twitter-storm in support of the memorial action. All concerned people posted messages with the following hashtags: #Gongadze, #Ukraine, #truthisnotacrime on their pages on social networks and twitter. The purpose of the action was to honor the memory of journalists killed and to draw public attention to the current situation of journalism in Ukraine. 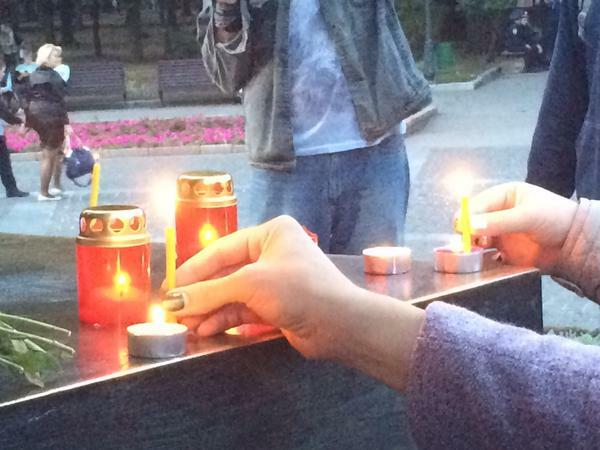 The action was supported in other cities of Ukraine: Kyiv, Lviv, Lutsk and a few other.